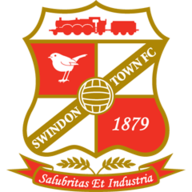 Highlights of the Sky Bet League One game between Bristol Rovers and Swindon. 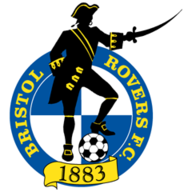 Billy Bodin's 29th-minute effort earned Bristol Rovers a 1-0 Sky Bet League One home win over Swindon Town in a low-key West country derby. The midfielder's left-footed shot from just outside the box went in via both posts, the ball rolling across the goal-line before spinning in. Rovers were value for a bigger winning margin, but made hard work of beating a Swindon side, who barely managed a worthwhile effort on goal. Matt Taylor hit the crossbar with a 77th-minute shot from outside the box but the hosts almost paid for not making their dominance tell when late shots from Ben Gladwin and John Goddard were both deflected just wide. Rovers created all the decent chances in the first half. An early Chris Lines free-kick was saved at the second attempt by Lawrence Vigouroux, who then produced a better save to keep out Bodin's close-range shot. Centre-back Ryan Sweeney almost marked an impressive Rovers debut with a goal on 16 minutes, but Gladwin cleared his header off the line. After Bodin's goal, Ellis Harrison's header was cleared off the line by Raphael Rossi-Branco and the interval was reached without Rovers keeper Joe Lumley making a save.